PSFK recently hosted a discussion called Store Design In A Digital Age with three leaders of next-generation retail design: Gabriela Baiter, founder of Whereabout Studio; Howard Sullivan, co-founder and creative director of YourStudio and Marc Kushner, partner at Hollwich Kushner LLC. Gabriela: Place‑making doesn’t just happen in the store. If you just think about Airbnb a couple years ago, they started because they wanted to make people belong in homes when they traveled. Even coworking spaces started because solopreneurs were very lonely at home. 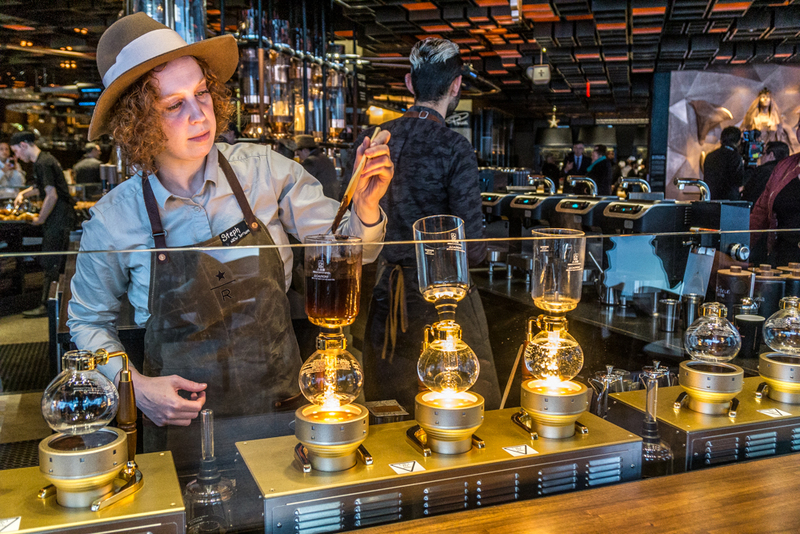 If you apply that idea to retail, there’s that same element, a service that retail needs to provide when it comes to community and connection to drive a deeper relationship with customers—helping them literally walk into the story behind your brand. Marc: There’s a larger opportunity when you’re dealing with the built space. People are super‑vulnerable when they’re in your space. You’re all captive to me right now. I can destroy this entire thing. You’re all in my coffee‑laden, caffeine‑generated hand. That’s the opportunity the brand has when it gets someone into its store. The architecture and the backdrops of our life, the spaces that we encounter—these are banners and ways to broadcast a brand’s message really succinctly, if the architecture and design is doing its job well. We just designed a store for Casper—all the way down to the smell of a space and to the touch and feel of a knob that you might touch to turn on and off a light. Each one of those touchpoints, visual and tactile, are ways for a brand to explain who they are and what their essence is to the customer. Howard: From the very earliest times, culture has always had shopping. We’ve had marketplaces. The agora was a place to connect around produce. It was a bazaar full of everything multisensory. People had debates there. There were peddlers and people who would actually deliver. The very first home shopping was happening in Roman times, because you could get your goods delivered from the marketplace. Now we’re in a time now where we’ve got new tools and tricks—new technology and interactivity. We shouldn’t get carried away with those because essentially shopping is a form of entertainment and a way to connect with people, and community. 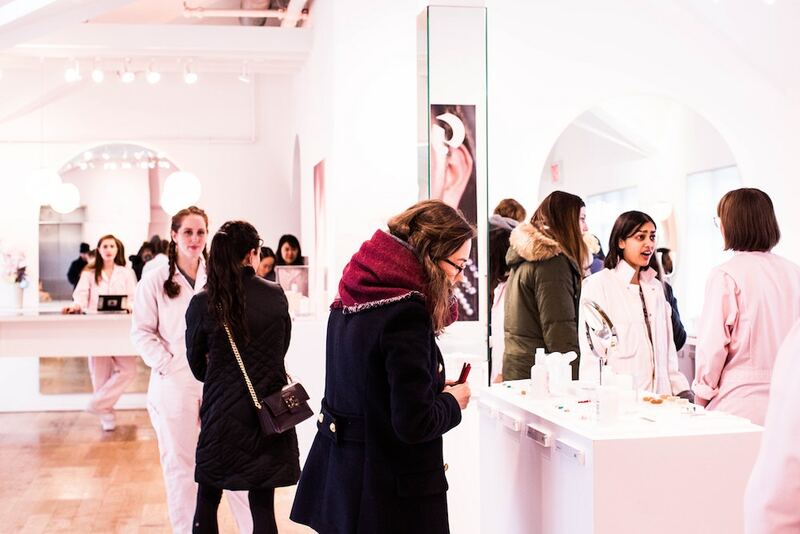 Lots of brands now, like Glossier, have realized the power of community and how we connect to people. Convenience online means some goods are just easy to transact in that way, but there’s a whole level of sorcery and seduction that you just can’t get unless you’re in the flesh with people mesmerizing them. That’s our challenge and opportunity. Marc: We’ve been involved with a few brands for their first brick‑and‑mortar store, both online brands that are coming offline and brands that had never had a store before. For our first step, it’s always a bit of diagnosis, almost like a therapy session, trying to tease out what the brand wants to be when it comes to physical space. The process is shocking sometimes. 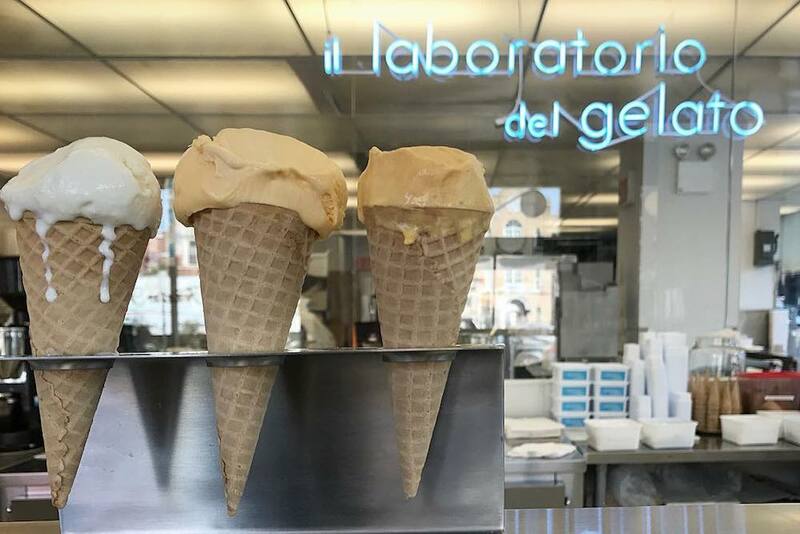 Our most surprising experience was when we did a Laboratorio del Gelato down on Houston Street, maybe six or seven years ago. If you’ve seen it, don’t judge me as an architect. It looks like a prison for ice cream. That’s exactly what the client wanted. We were his third architect. The previous architect had come up with chandeliers made of ice cream spoons and all of the cutesy things you can imagine. What we finally realized was that for him, this was serious business. His 300 flavors is serious. It’s a factory. It’s a laboratorio. We gave him the coldest, nastiest place ever. When it came, finally, to the very small amount of the store that’s for the clients—the ice cream scoopers, we put them eight inches above the clients. You can have that old‑pharmacy experience of reaching down and giving one sample. If you ask for more, you get kicked out. It’s concrete floors, a steel bench and no furniture, and yet the line’s around the corner. That’s what the brand wanted, as an extension of itself. We’re proud of the way it turned out. That’s how all these projects, for us, start. Very often, the brand can’t articulate the unique proposition about what they want their store to say about them. It’s a bit of a journey, a lot of iteration, experimentation, until we come up with the right direction. Howard: It’s also important to understand the consumer, or the person, that the brands that you’re working with are targeting, or would like to draw closer to their brand. The idea is that the product is taking that secondary role now—instead the brand and a promise delivered through the experiences is what brands are after and want to deliver to clients. 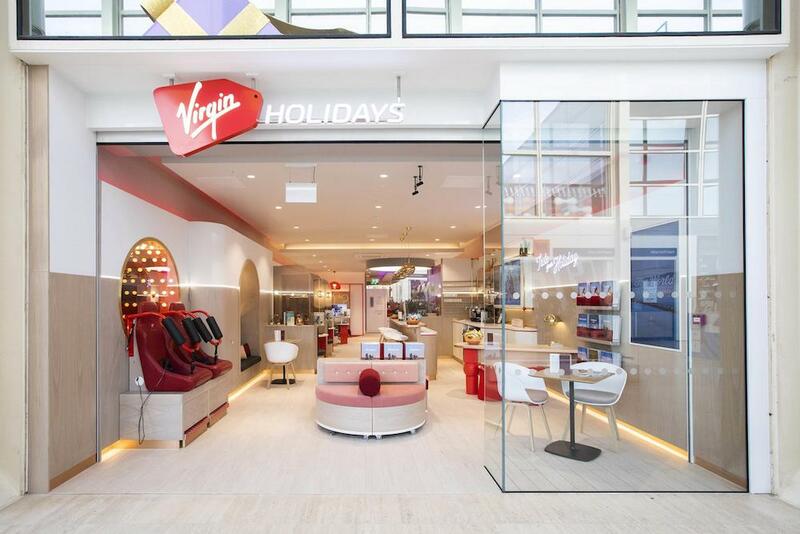 Our clients range from boutique, small, premium brands like JW Anderson, to mass‑market brands like Virgin Holidays or Nike. It’s all about understand the audience. Gabriela: It is your job as an agency, or any consultant, to push your client beyond belief and have them stunned by what you’re providing them as a solution to a problem. If it’s just a shiny object or a selfie museum, it’s not reaching its full potential. The reality is that our stores have to solve a problem. You can win at the end of the day if you’re solving a problem better than someone else. You have to understand the nuances of that problem and the consumer that they’re serving to be able to do that in an authentic way. The process that I just described of how a design firm will work with a brand, if you’re going to invest that much time into designing something unique for your bran—it had better open up every opportunity. Once you do that, you should end up with something slightly different, slightly unique, compared to what’s been done before. Once that happens, that is capturable. As long as that’s coming from an authentic place, it can have great results. That authenticity could be a surface application. It could be a backdrop, but usually, like a sticker that you should take a picture in front of, is not the result of a rigorous exploration of what’s happening. Instagram happens after good design happens. Howard: The idea of yet another “What’s the Instagram moment?” does make you roll over a bit. Equally, if something moves you and gives you some kind of inspiration, you’re naturally going to want to share it. The approach that we take is that time is such a commodity now—if you’ve got someone’s time you have to value it. How do you optimize their spirit or connect to their soul? A really good example is when Burberry launched Makers House a couple of times in the last few years. Incredible experience. You could Instagram every single moment of it. It was so rich and dramatic. Equally, you could be carried away and learn about lots of new craftsmanship or poetry. You could understand about cooking, and the couture, and the collections. There’s a balance of both. We’d like to create an environment that’s not first for Instagram. If you Instagram it, amazing. If you really move someone in that moment to the point where they’re not actually Instagramming every second, you’ve probably been more successful. You’ll build a much deeper connection. Gabriela: We can’t be selfish as retailers. It’s very selfish to ask your customer to take a picture for your brand. It needs to be for them. I almost want us to move away from creating anything Instagrammable in the store. That’s a baseline metric. The design should be incredible. Let’s start moving towards personalization and something that feels unique to the customer. 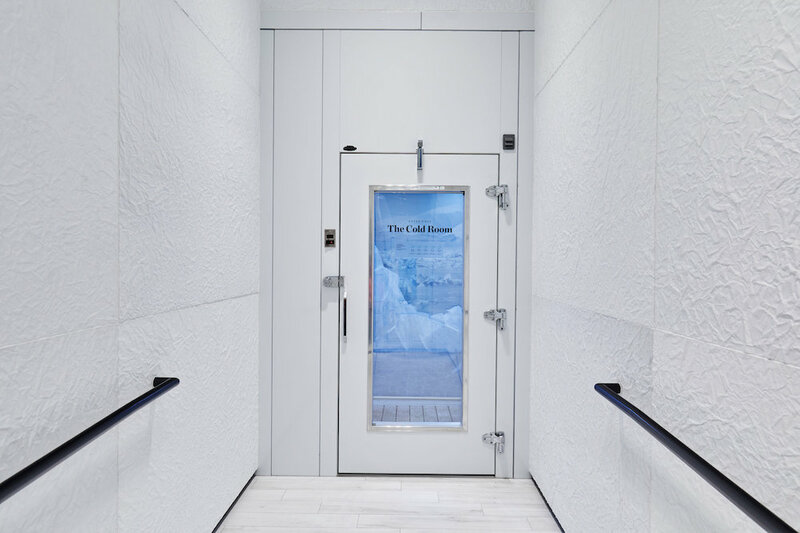 For example, Canada Goose created a dressing room experience where it made your dressing room below zero. You’re not only having your five jackets. You’re going and actually testing it out in real life. That is Instagrammable because you’re bringing people into a unique environment. How has that not been done before? There’s no reason why you should be going on the slopes to test out your jacket you just spent $500 on. Gabriela: We’re going to see an entrance of these digital-native, DTC brands taking a little bit deeper of a dive into their first flagship store—it might be a year‑long popup. A trend that I’ve been noticing is moving people off the high street and into private spaces. We’re moving on to our third home design that we have done for these online retailers. They’re really multi‑brand experiences. It’s a part media, part store. That’s the flexibility we’re talking about. We’re going to start to see this stuff not live on the high street but in completely unique destinations that don’t even feel like stores. Marc: It’s a fascinating moment. I just left a meeting this morning with a developer for a new project. It’s a residential building with the opportunity to build 215,000 square feet of retail below it. The idea, originally, was that it would be a mall. They looked at us like, “Should we build a mall? No one’s building malls now. What do we do with a mall now?” What we’re seeing now is empty storefronts. It’s sad. It’s really the great reckoning. What you two just said is that retail is for education about new technology. It’s to learn about brand or touch a totally new service. It’s about education and experiences. What we’re seeing right now is New York City’s real estate owners starting to come to terms with the changing value of their stores. We’re working on a new retail space in Brooklyn. It’s called 25 Kent. It’s going to be a tech campus building. Pretty radically, the owner had us put a road mid‑block smack through the ground floor so that there couldn’t be big‑box retail, so that there had to be small retail spaces specifically for new brands coming and popup event spaces. That was a way to signal to the community about what type of retail there would be there. It was actually more about the 1,500‑square‑foot store than it was about the 20,000‑square‑foot store. I think you’re going to see new infrastructure and new buildings start to reflect this new reality. Howard: We’re in a hybridized world where art, culture, work, rest and play are all intermingling. Yes, we might be losing some traditional retail spaces. But it’s making room for quite dynamic, innovative brands and companies who are coming in offering a whole host of things that are tailored to our lifestyle. We’re going to see a lot of change in the next five years. Where we’re losing some footprints, it’s being made up for with a more targeted and unique destination experience. 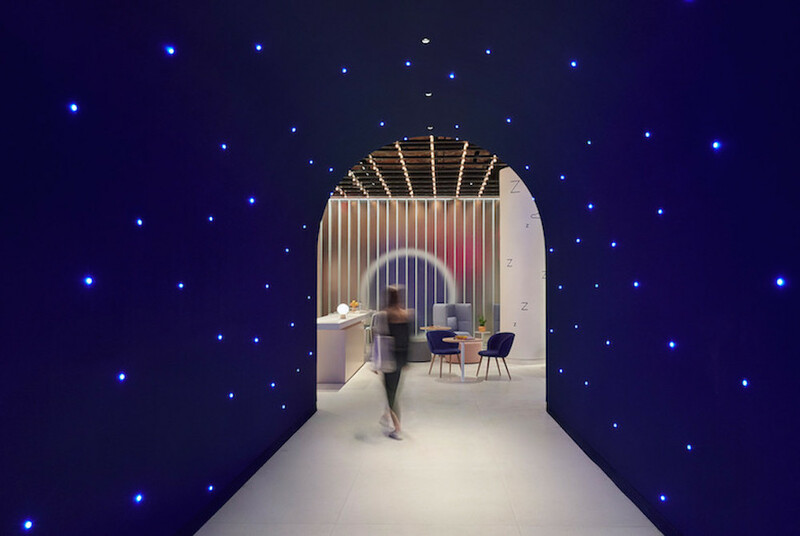 For further insight into the evolving role of the physical store and the enduring yet transformed importance of store design in the digital age, see PSFK’s reports and newsletters.